Hot off the press is another months copy of the Spindle, you know where you can find it! Managed to find a nice caravan site in Swindon village, which was 2 miles from the start control in Bishops Cleaves Cheltenham. This is my first AAA with a total climb of 1900 meters. I arrived at the start at 0845 and was amazed as to how popular this event was. They had to stagger the start time as over 250 cyclists had entered. I pushed off with the first 50 and stuck with a group of 6, four of which were Cheltenham CC. This was to be to my advantage. Due to the nature of the course there was a lot of ice and these guys knew where to be careful. Having gone 15km and climbed 2 of the steepest hills ever, I was beginning to wonder if I had done the right thing. 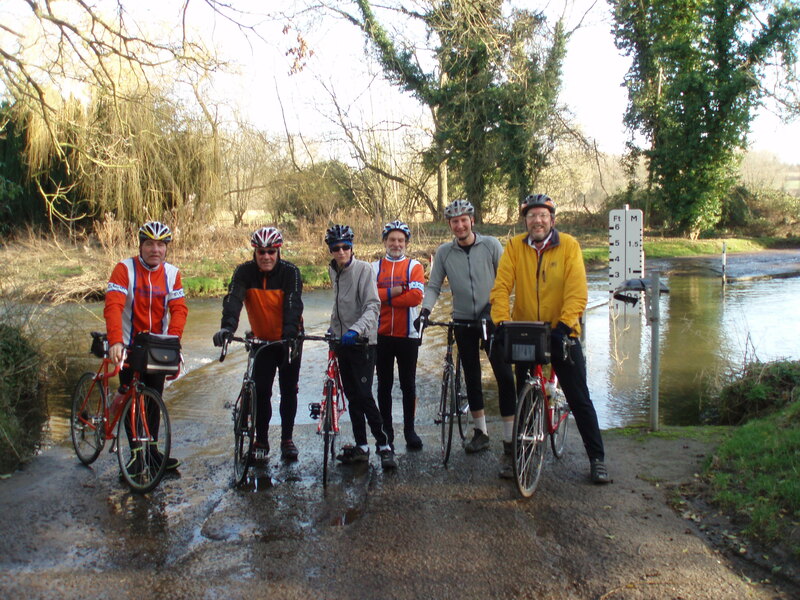 We had to dismount on a number of occasions due to ice having formed across the whole road. At one hill a rider in front shouted a warning of ice and dismounted, I followed suit and walked the bike across, noticed a rider getting close to the ice and warned him. “Is it ice or water?” he asks, “both” was my reply. “I’ll take my chance, thanks”. Next thing I heard was “bugger” as his bike slid from under him. The climb up to the 3rd control took some effort. An older chap came along side me, smiled and announced, “This is why God invented the granny ring” and cycled into the sunset. My chain fell off a couple of times after the third control, lost sight of the Cheltenham guys and ended up finishing on my own. So, not for the faint hearted these AAA. Long climbs and fast descents. Which reminds me, better check my break pads before I take the bike out again.